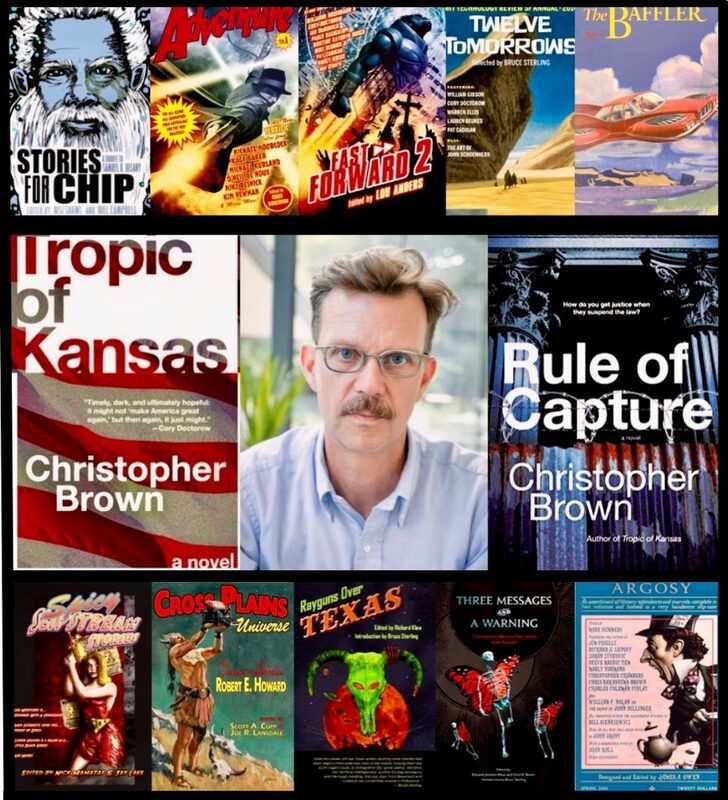 Christopher Brown is the author of Tropic of Kansas, a finalist for the 2018 John W. Campbell Award for best science fiction novel of the year. His new novel Rule of Capture, the beginning of a series of speculative legal thrillers, is forthcoming from Harper Voyager in August 2019. He was a World Fantasy Award nominee for the anthology Three Messages and a Warning: Contemporary Mexican Short Stories of the Fantastic. He lives in Austin, Texas, where he also practices law. Great to have you today for chat on your writing and your new novel. Tell me more about your 2017 release, Tropic of Kansas. What was the seed and inspiration behind this? 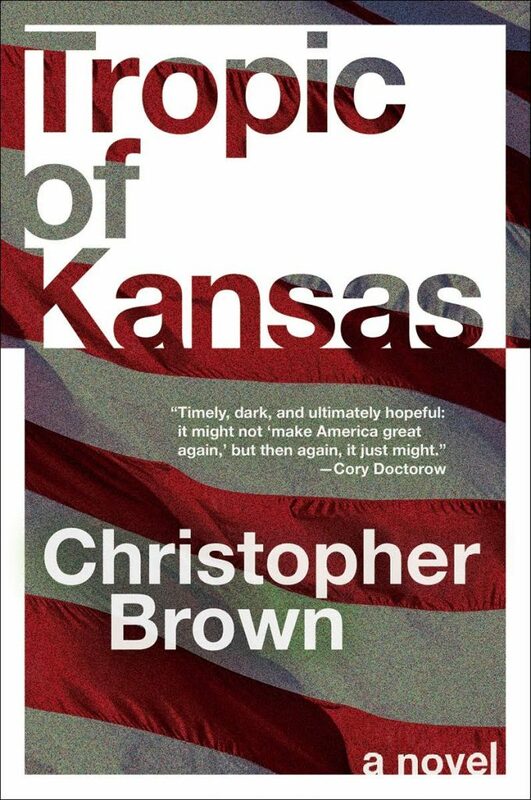 Tropic of Kansas is a post-9/11 novel set in a world where 9/11 never happened—an alternate America that has birthed its own “third world country” in the form of a Midwest ravaged by environmental and economic exhaustion—the “Tropic of Kansas” of the title. The story follows two characters on their journey through that region: a young fugitive on the run due to the political activities of his parents, and his foster sister who is coerced by the government into tracking him down. Their search takes them places they didn’t expect, in a country on the brink of a revolution they themselves may spark. The initial inspiration came from my desire to repurpose the material of the adventure novel toward more emancipatory ends. I set out to write a novel of political uprising, inspired in part by revolutions going on in other parts of the world, and the Occupy camp that had sprung up in the junkyard across the street from my home. As I wrote the book, it took on a more ecological feel as the world I saw around me—an increasingly barren and destitute American heartland—spilled onto the pages as the characters traveled through it. They (and I) learned that most of our political and economic problems are rooted in our damaged relationship with the land. I wrote what felt to me like realism, but read to many as post-apocalyptic—and the truth is, it’s both. 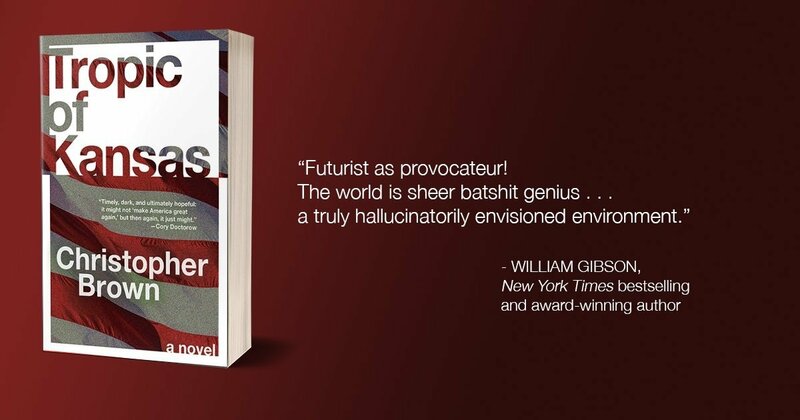 You have a novel out August 13, 2019, described by publisher Harper Voyager as the “first volume in an explosive legal thriller series set in the world of Tropic of Kansas.” So this is both the first volume and a follow-on from the previous book. What can readers expect to find in this new work of yours? Especially in terms of characters and setting. My new novel Rule of Capture is the story of a burnt out lawyer named Donny Kimoe who makes his living defending political dissidents in a USA drifting into totalitarianism. He represents alleged insurgents who have been hauled before a special emergency court created after martial law is declared in disaster-ridden parts of the Gulf Coast. His main client in the book is a young journalist named Xelina Rocafuerte who is accused of being a terrorist in an effort to silence her after she witnesses the assassination of an opposition leader. When Donny screws up Xelina’s case because he’s distracted with another matter, and with his own personal problems, he has just days to fix the mess he’s made before she is sent to the secret prison camp from which no one returns. That means breaking the rules, exposing the conspiracy behind the regime in power, and risking the same fate as his clients. The book is set in the same world as Tropic of Kansas, and both Donny and Xelina first appeared in that book as secondary characters. But Rule of Capture takes place earlier in time, in a setting that feels closer to our contemporary reality, and yet even more different—an America that has been defeated in a war with China, ravaged by extreme weather, and subjected to international sanctions and austerity. 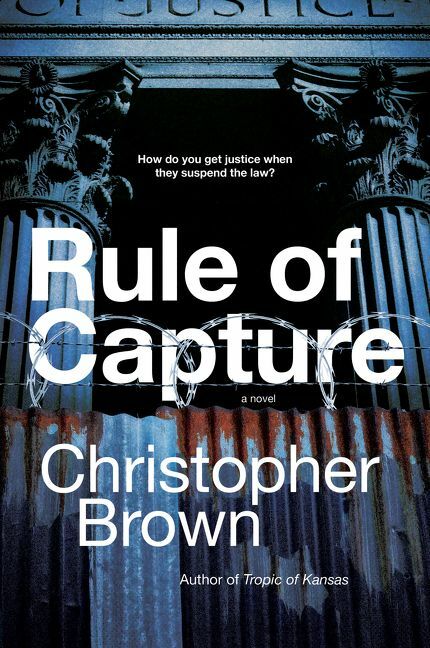 Rule of Capture is a dystopian novel, but one that tries to make more room for humor—even if it’s gallows humor. The book I’m writing now for publication in 2020 as a follow-on to Rule of Capture tells the story of the same lawyer defending people in front of the tribunals of a post-revolutionary utopia. My idea is that you first have to go deep into the dark places to find your way to the light. “Utopia” by definition is a place that does not exist, but I’m trying to get as close as I can. And I think ecology—which thematically underpins all three books—is the key. This novel and the previous one, what length of time did it take to final draft? Rudy Rucker insightfully remarked when he wrote a very generous review of Tropic of Kansas that it seemed like a book I had been working on my whole life. In a way, he was right—I came to novel writing a bit later in life than some, having focused on short fiction for more than a decade before that—and Tropic ended up being a synthesis of a lot of different ideas that had been kicking around in my head for some time. I started writing it in earnest at the beginning of 2012, and finished it in November 2014 after three very different drafts. Rule of Capture was much faster (though, like Tropic, it is infused with material I have been thinking about for years). I wrote it based off of a proposal I had pitched to my amazing editor at Harper Voyager, David Pomerico, and that meant I had a deadline. I spent about three months researching it—deep in the stacks at the law library to ground my imaginary legal system in real precedents—and another seven months writing the version I submitted. I just finished another two months of pretty intense revision to get the story where I wanted it to be. Writing: when, where, and with what? I get up most mornings around five (more accurately, I trained my dogs to wake me), make coffee, and head to the old Airstream trailer in the front yard that I have converted into my home office. I work until around 8, then walk the dogs in the urban woods, and get ready for the regular work day. I am also a practicing lawyer, so I spend time taking care of my clients and writing more through the day as the schedule permits. With a break for a workout somewhere in the middle of that. And then when the sun goes down I get to enjoy the company of my family, read, and recharge. What is your ambition and hope for your works? I’m happy if I can engage readers with a story that holds their attention, and hopefully helps them see things from a fresh perspective. I try to use the tools of speculative fiction to glean truths from the world that realism cannot. The way you do that is to write what you see, but through a fun-house mirror that distorts in a way that shows things you often would not notice. I also want to write stories that entertain people. I start with characters, and a general idea, and let plot happen—but at the same time I work hard to find ways to pull the narrative cabling as taut as I can, and use the jazz of language to keep the line jumping. If I can find my way into helping map a path to a better future, that would be even better. Yes and no. Whatever I am working on is always on my mind, and I find myself constantly thinking about the work and jotting down notes as I get fresh insights into where the story wants to go. As I have become more focused on writing novels, I find I spend less time writing in journals—those thoughts end up charging the text of the book. I also think social media serves as a kind of public journal of things at the intersection of daily life and one’s interests as a writer. My feeds, which are mainly Twitter and Instagram, tend to be a little gnomic, and being the minimalist in a big room full of people screaming for attention may not be the best way to get the word out there. And I am very suspicious of those platforms, as algorithmically tuned, advertising-driven corporate platforms for the domestication of free speech. This year I hope to get back into more old school blogging, using my own platform to share photos, field notes and thoughts about things going on in the world. I am not big on outlines, mainly because they just don’t work for me. I have friends who crank out novels from insanely detailed outlines, and I envy their ability to do so. Story outlines for me are like battle plans are for generals—good until the first shot is fired (or until the first scene where story happens in ways you didn’t anticipate). I start with characters, and a big thematic idea, a general situation. For Rule of Capture, it was the idea of a criminal defense lawyer in dystopia, and then the idea of him defending a journalist who is radicalized through false prosecution into becoming a political actor. Because I sold the book off a proposal, I wrote a detailed treatment and outline, and those were helpful to think through the idea—but as always, other aspects of the story surfaced in the writing of it, and I had to depart from the outline. Plot for me has to flow from the characters, the situation you put them in, and the character of their world. I usually have a clear sense of the general arc, and I try to write the ending first (maybe I should say an ending—it can change, at least in terms of the words on the page if not the sense of change in the characters). But then I allow myself freedom to explore where the story wants to go, in the same way that when I go for my morning walks I try to get a little lost every day in search of discovery, and the uncanny. That’s a very inefficient way to do it, because you end up with a lot of material that builds character and the world of the story, but doesn’t move the core plot forward. So you end up writing two to three times as much material as you can keep—I wrote three books worth of material for what became Tropic of Kansas, and two for Rule of Capture. For me it’s a lot like the wild gardening I do, restoring the native prairie on the plot of land where we live. You put a lot of seeds out there, see what wants to grow, end up with a simultaneously chaotic and coherent mess that harbors all sorts of stuff you didn’t expect, pull the things you don’t want, and then burn the whole thing and see what really belongs when it all grows back. That approach is especially challenging when you have a deadline looming, but that also means it works well when your character is a deadline-driven lawyer—the ticking clock on the writer’s wall has a way of manifesting itself as urgency inside the story. Finish what you start! It’s very easy to set out into the forest of blank pages with an idea of where you are going, only to find yourself feeling lost. Writing your way into the thicket of seemingly impenetrable bramble. We have all been there, and we have all given up on books we thought had great potential. What I have learned as I have matured as a writer is that writing your way out of those spots in the middle of the book is where the real magic happens. It’s definitely where character shows you the way to plot that has some semblance of truth. It’s where improvisational riffing morphs into symphonic coherence. Having a clear sense of your final destination helps, which is why writing an ending first can be like making sure you put your life preserver in the boat before you head out onto the water. The other thing I would say is, read as widely as you can. Because what you find when you are lost in the middle of a book is that the things that help you write your way out are the things you have learned and internalized in your years of reading. And remember, as my friend Maureen McHugh wisely advised me after I launched Tropic of Kansas: when you finish your first novel, you think you have figured out how to write novels, when all you have actually figured out is how to write that novel. Every book is different, and has its own unique challenges. And solving them is a big part of the reward of the work. What authors inspired you to become a novelist? The biggest influences on the idea of doing this were early ones, writers I read when I was in my late teens and early twenties and whose work made me think I would like to try my hand at doing something like that. J.G. Ballard, Walker Percy, Joan Didion, William Gibson and Ursula K. LeGuin were some of the big ones. I was a working journalist before I became a fiction writer (and before I became a lawyer), and Hunter S. Thompson was also a big influence. After I got going as a short story writer and had moved to Austin, Bruce Sterling became an important mentor, and Eileen Gunn provided invaluable encouragement and advocacy to try my hand at longer work. Left to right J.G. 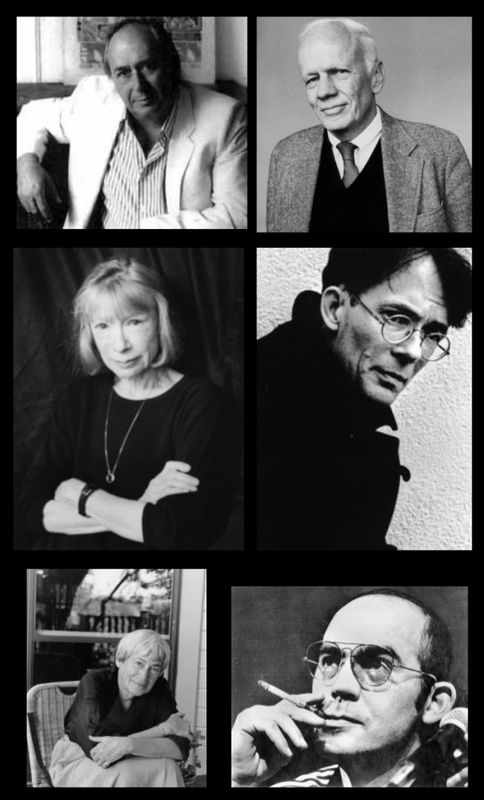 Ballard, Walker Percy, Joan Didion, William Gibson, Ursula K. LeGuin, and Hunter S. Thompson. Which characters in fiction do you re-read? I think the most important characters to go back to are the ones you missed—the ones that weren’t part of the canon of your particular social reality growing up. Writing Tropic of Kansas and Rule of Capture, I read widely in search of characters and creators I had never paid much attention to before, voices that spoke from very different life experiences. The novel is a mode of storytelling wrapped up in the experience of the self, but I work hard to try to fill it with the multivalent chorus of the real world, and seeking out new voices you may never have heard before, or neglected to give much attention to, is to me the most important way you can grow as a writer, reader, and member of your community. I hope that effort shows in my work. 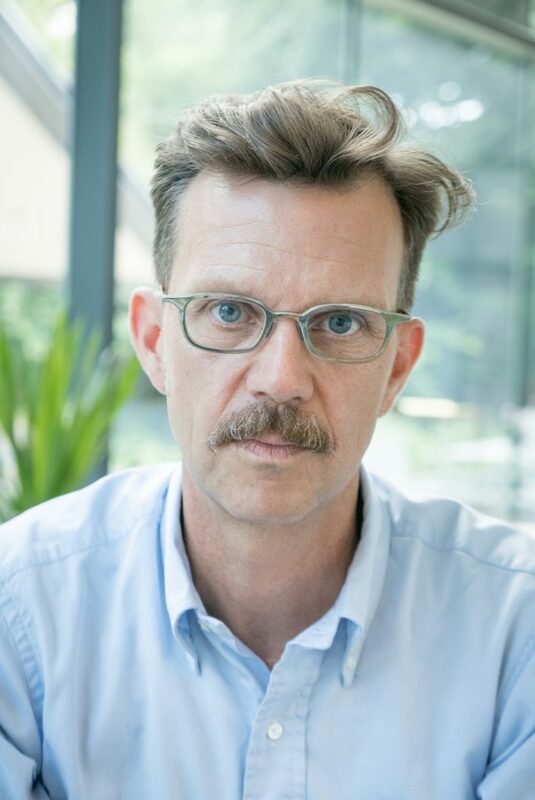 Thank you for a peak into your writing mind and life, all the best with the world of Tropic of Kansas. Thanks for having me, Lou!